Showa ? Nen 8 Gatsuhi. Blade length : 22.2 cm or 8.74 inches. Width at the Hamachi : 2.04 cm or 0.80 inches. Kasane : 0.5 cm or 0.2 inches. Shape : The blade looks like Moroba style Shobu Zukuri. Special feature : Dr.Goro Watanabe was a engineering doctor. He has born at Meiji 13th and passed away at Showa 26th. 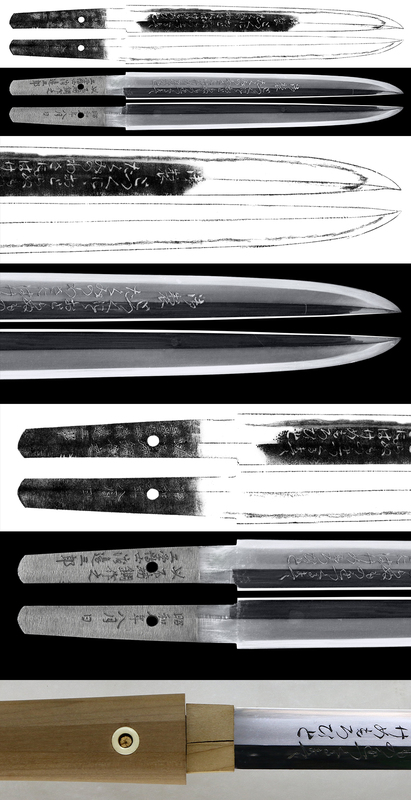 He was collecting a lot of Japanese swords during his life and collected well known Sanjyo Mikagetsu Munechika. He was a president of the Japanese special steel company and study Japanese sword. He made this sword byhimself and carved the poem (Waka) by himself. The meaning of the poem is as following. 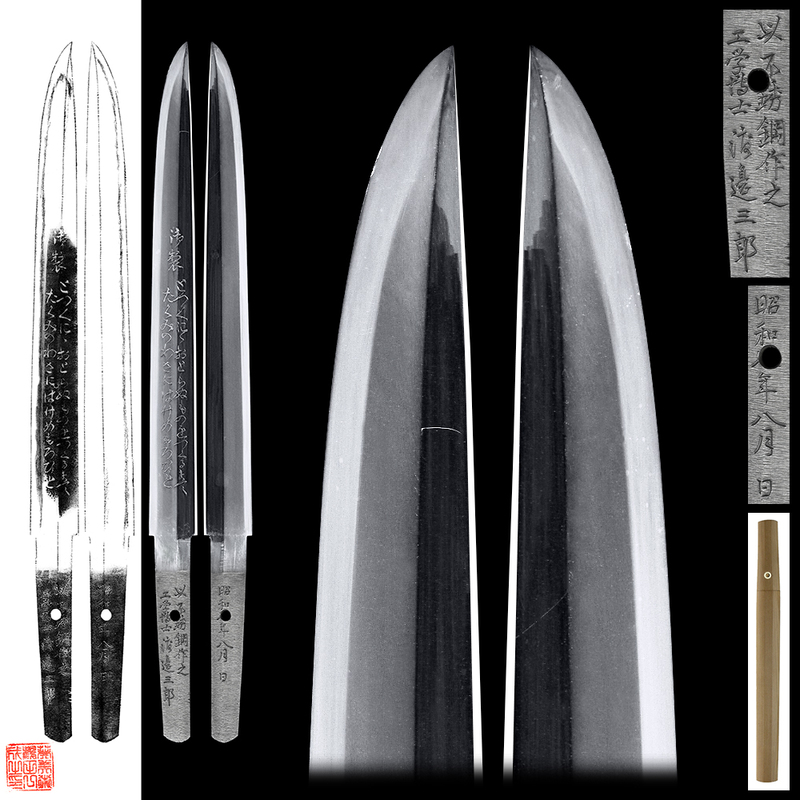 This blade is forged from Yo-Tetsu so this item is out from subject of NBTHK Shinsa, but the work is excellent.